"If you enjoy reading my Spoiler-Free reviews, please follow my blog :) Guillermo del Toro's pair of Hellboy movies were always pretty acclaimed by both critics and audience. So, if a reboot was in the works, it had to be way different from the originals or, at least, capable of separating itself from them. Neil Marshall's film is definitely distinct, but not in a good way. Sadly, this is one of the worst movies of the year, so far. David Harbour tries super hard to bring this story to safe haven, but his outstanding performance can't fight back all of the painfully long and repetitive exposition dumps, an editing worthy of a Razzie Award (if they had such a category), and cringe-worthy comedy bits. The trio of writers failed in almost everything. Even Hellboy, as a character, becomes a caricature of himself at one point. 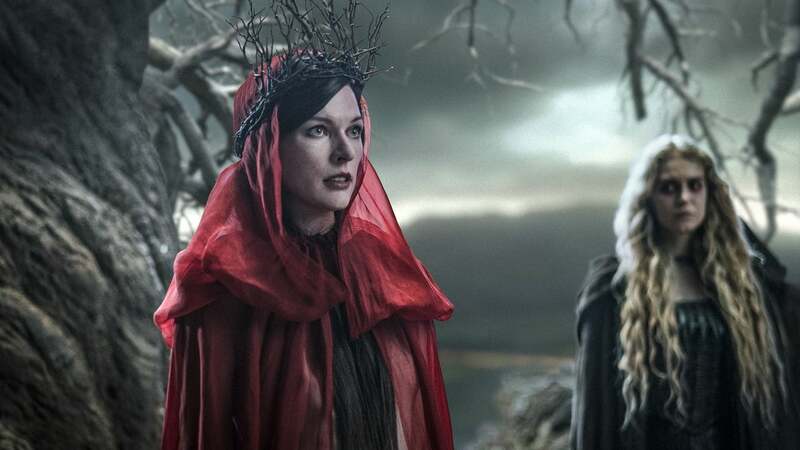 Milla Jovovich, who is not a bad actress at all, offers such an over-the-top display that only comes off as cliche, cheesy, and the complete opposite of menacing. Obviously, her extremely villainous script doesn't help. Sasha Lane (Alice) is the only one who actually portrays a likable character (excluding the protagonist) and delivers a compelling performance. Daniel Dae Kim is also good as Ben Daimio. Unfortunately, a talented cast is not enough to overcome the undeniable screenplay issues, which tells a convoluted story, filled with heavy exposition through annoying flashbacks (I lost count of how many there are). The rock'n'roll score doesn't always work, becoming uneven and making some transitions just weird. However, credit where credit is due, it does make the action sequences a lot cooler. There are some great action moments where Hellboy shines, but overall they are ruined by sloppy editing. Honestly, I don't know how Marshall can direct such beautiful one-take fights (or "stitched one-take" sequences, like one towards the end) and horribly edited ones in the same film, so many times. The visual effects disappoint as much as they impress, but Hellboy's makeup and costume are, at least, on-point. 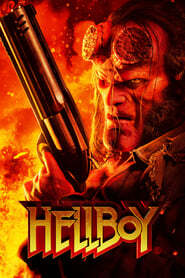 In the end, the story and the characters are the two pillars of any movie, and Hellboy fails to deliver a well-written and captivating adventure, as well as compelling characters. All in all, Hellboy is a huge misstep in Neil Marshall's filmmaking career and he's going to have to work hard to get another opportunity at a blockbuster. His film is already suffering losses at the box-office, which proves that the interest in the reboot of this franchise is not big enough to warrant a sequel. Admittedly, it has its good moments and David Harbour embodies his character seamlessly, carrying the movie for as long as he can. Nevertheless, a good cast and some occasionally cool action sequences are not enough to fight back writing issues, uneven soundtrack, cheesy comedy, heavy exposition dumps, and the worst editing I've witnessed this year, so far. It's a headache that most people might not find worthy of the price of admission... Rating: C-"